For first-time visitors, Whitestone often comes as a surprise. Noted for their old-fashioned sense of community, the neighbors of Whitestone are known to be extraordinarily friendly, where they look out for each other and new transplants are welcome with baked goods and open arms. What’s also notable about the tree-lined neighborhood is the quiet. It’s been referred to as a suburb in the city, where children ride bikes down just about every sidewalk and backyard barbecues are a regular occurrence. 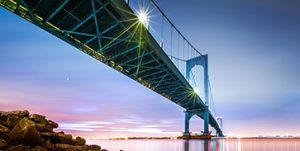 Considered to be an upper middle-class neighborhood, Whitestone welcomes you home to its riverside banks and quaint, locally owned boutiques, restaurants and sidewalk cafes. Ranked in the top 75 neighborhoods in NYC, the vicinity boasts a close-knit community that is both diverse and family-friendly. Parks, wide streets, exceptional schools, stunning river and city views — Whitestone truly offers a superior quality of life. Find out more about the sought-after area and its many attractive features by scheduling a tour of Whitestone with Bobby Gellert of SONYM now.